I have a question regarding the use of superbill for encounter data collection. We are a HMO ISNP provider group in western New York. We have recently adopted the use of a superbill to collect and prepare ecounter data submission. But we are struggling to find any CMS regulation or requirements surrounding the creation and minimum legal requirement of a superbill. In particular, our current group of providers is nurse practitioners who perform face-to-face encounter with the members at their residence (most of them in skilled nursing facility under custodial care). The NPs document clinical findings and service rendered to the member in the form of a visit note. Then the providers are asked to fill out a superbill to help support the encounter claim process. However, the superbills created by the NPs ended up to be QA and validate by the certified medical coders to finalize the encounter data. Essentially the NPs and coders are performing the same tasks, with the volume of encounters, this quickly become a very cumbersome collection and exchange process. 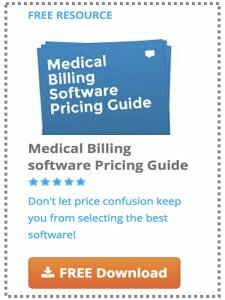 Does the responsibility of a superbill fall on the NPs or can this process be performed by the certified medical coders? If the medical coders are able to create superbills for the NPs, is any form of credentialing or signature required to acknowledge the bill is created on their behalf? Any comments or reference you can provide on this will be greatly appreciated. To my knowledge there are no regulations, standards, or legal requirements for a superbill. The only legal requirements are that the superbill contains HIPAA Protected Health Information and must be handled/protected as such. Also as you mentioned it is basically a QA record to validate the encounter info for the coder. I can't find any requirements but I think it's important to have the providers signature to validate the diagnosis and treatment. It also has to contain minimum relevant information such as rendering physician, patient name, diagnosis, and treatment codes. It's usually customized by the particular practice as needed. My understanding is that the superbill is for the convenience of the practice and serves as the primary means to document and communicate the data needed to process health claims. We welcome any other comments or experiences on this subject by clicking on the link below.